over a decade ago, and he has since grown to be one of the biggest names in movie production and marketing. He spoke with Miriam Chidinma Okonkwo. Well, my name is Chief Andy Ikechukwu Nnadi, but popularly known as Andy Best Akudinanwa. I 'm from Mba Ano in Imo State. In my village, they gave me tittle of Akudinanwa. They said that they have been following my job, and that they are happy with me. That's why they gave me the tittle. You know some people don't know the meaning of Akudinanwa. People think that it means a small boy who has money. But Akudinanwa means a lot. You know, when you have a child, you have hope that the height you couldn't reach your child may reach there. Is producing movies all that you do? I am a producer, a script- writer and a marketer. When I see a good story - I write, produce, and market because I have a marketing company. I started producing movies with a film tittled: Narrow Escape. It has been long. So, I write, produce and market my own film. But when exactly did you start producing? I can't tell the exact time, but I know I started from 1980s. It has been a very long time. I know I'm one of the pioneers in Nollywood. Even Osuofia (Nkem Owoh), if you ask him, he will tell you that he started with Andy Best Akudinanwa from the film tittled Ikuku. He had said this in many of his interviews. 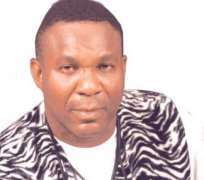 I don't think you can talk about Nollywood without talking about Andy Best. Would you say you are a succesful man? I thank God because before you start doing anything in life, you will first of all discover your destiny. Because I discovered that my destiny is in the movie industry and if you watch one of my films tittled: My Destiny, it portrays my own story. So, I discovered that it is my business and my destiny. Even if the movie industry now is somewhat bad and you know some people don't really know their mettle, film making is not something you will just jump into. Honestly speaking, the film industry is now a bit unpredictable, but we thank God for Emeka Mbah, the Director-General of the Nigerian Films and Censor Board is planning to sort things out. Now, many people have jumped into the industry and, at end of the day, everything will be rough. People are tired of watching even the same film they had seen before. Some people say: 'I don't like watching Nigeria movie,' but people who know me will tell you: 'watch Andy Best production.' I have won many awards, I don't have to come out and show-off. In 2007, I won the most best creative producer. You have recieved a lot awards, how does that make you feel? I know what I'm doing and people say let your job speak for you. When I produced the Biggest Brother In Town, it gave me awards as the most creative producer in 2007. When I wanted to shoot that story, I called Kenneth Okonkwo, Oge Okoye, Sunny Bobo and others, then Andy Chukwu and Obi Okoli are the directors . We heard there is going to be a shake up in Nollywood, what is it about? Emeka Mbah brought an idea that they will get to the bottom of piracy by giving license to those who are qualified to be there. Those who are not qualified to be producers or marketers should go to another level because we have national and other levels. So, I guess by next year, things will normalize. What does it take to become a producer? Before you become a producer, you have to read it or learn it. Before I became a producer, I was working with Andy Amuneche. I was only an executive producer then. I told people who are producing to learn from what is going on, how to manage, how to pay artists, and how to handle production. Now, I can be in my office and do the whole production. So, you have to learn all these things; you can not jump into it. If you jump into it, you will not be working with experience, you will not achieve any success, you will get tired and you will start owing a lot of people. What about the marketing aspect? I don't know what is really going on in the marketing aspect now. Before, now it was everybody's show. All the stakeholders invested in the making and marketing of films. Then, the money was coming because when you invest in something, you expect to reap your profit out of it. The film would be selling everywhere and you will keep the record of everything. But now, greediness has entered into the movie industry. The only thing they will be checking is how much you made without checking how much you invested. So you mean marketing is bad now? Too bad. That's what I 'm telling you. But if this thing Emeka Mbah is planning by next year - that is knowing who is on national level and who is not, I think will have a lot of improvement. People come to producers and complain about what some marketers are doing, because a lot of frauds are there. I don't blame anybody because if you don't know this business, you simply don't know it. So, this is the problem we are facing now in marketing. We also need to set standard. Before you become a producer or a marketer, you will be sure that you are qualified and you maintain a good name. If you have a good name, you protect it. That is how you can go far because when you hear Andy Best, you will be thinking that I am too much. I am a very simple man but my name is too big because I am maintaining my name. I don't have money the way the name is sounding, so I have a good name even outside the country. I am proud of it. Before we enter into location, I will call you and ask you what's your own problem. If I will pay you before shooting or after shooting, I will know. That way, it is easier for me to plan my budget. At the end of the day, everybody will be happy like when we did Osuofia Papa Africa. In my new film, after shooting, everybody was happy, hugging and shaking. In some other cases, after everything, the producer will carry the whole thing without paying directors and artists. How can they be happy? How can you be successful? So, all these things are the problems we are facing in the industry and in marketing now. In this industry you have to learn how to calm down, know where you are going. If you say I am a producer or a marketer, you will be proud. I am proud of my job. Nobody in the industry produces movies more than I do. But if you think you can come and tell me how you organise your own project, how you plan, I will be ready to learn new things. What are the personal challenges that you face now? The major challenge I have now is that if I have a good story and I need a popular star who can carry new ones along, they will give you every excuses why they can't make an appearance, and, if you are not careful, they might discourage you . Secondly, I started with quality films and people are calling me Andy Young before they started calling me Andy Best because I am always doing the best. But now, when you compare your work with that of others in the market, you may not get your money back. You will be tired. You will start thinking of how to let people know that your own is the best. Why I am looking for the popular actors? They will give you the best. Even if they will collect any amount, let them give you the best and let people buy it. If you don't produce a quality film, people will not buy it. But why is it difficult for you as a producer to get super stars? You know hunger is everywhere now. They all complain of not having engagements. But few of them, like Nkem Owoh, he will say no chance. Call Genevieve, she will say no chance. And, it takes time to build new artists. Even when you try to build them, some people will go there and discourage them and they will come down again. So, these are the issues disturbing me. I promote the new artists with the popular stars because if I put only the new ones, people will not like it. Even you journalists, you will not like to watch the film, but people don't know that those popular artists too started from somewhere.